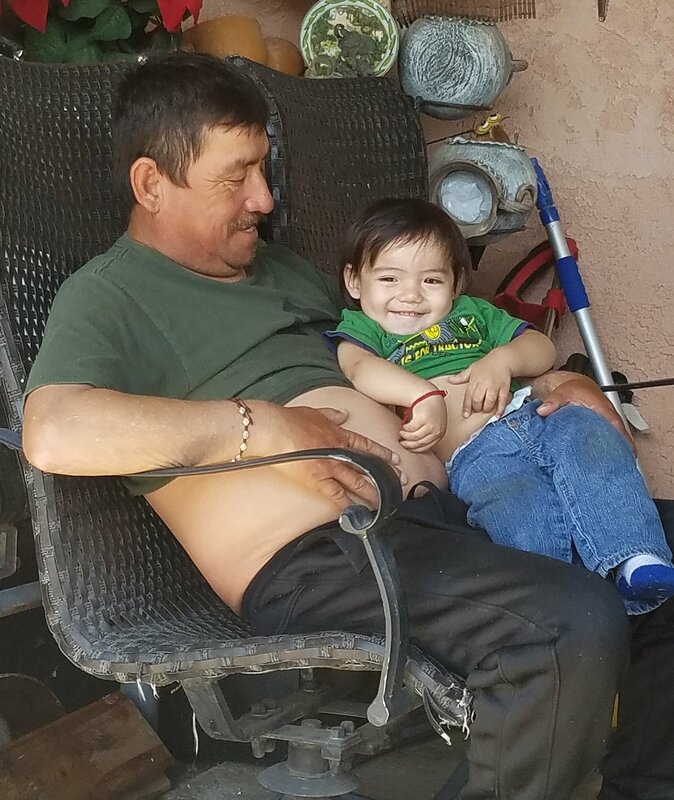 Francisco Delgado of Wasco, CA is a 48-year-old husband, father and grandfather in need of a kidney transplant and needs the help of his community to help make it happen. Transplants are lifesaving but very expensive. Eleven years ago, Francisco was diagnosed with glomerulonephritis, a debilitating disease that attacked his kidneys leaving him completely dependent on dialysis. He has undergone treatment at home for many years but currently must travel 3 days a week to a dialysis center in Bakersfield. Because of his need for treatment he has not been able to be away from home for a period longer than 2 days without prior authorization to be treated in other places. Dialysis robs him of the strength and energy to keep up with his 9 grandchildren who all look for his company. Francisco has been waiting over 10 years for the opportunity to return to a normal life where he would be able to travel without medical clearance, a life where he can enjoy carrying and spoiling his grandchildren without precautions. His only chance to return to good health is with this kidney transplant. Francisco’s current insurance gives him a chance at this lifesaving procedure but there will be many medical expenses not covered by his insurance: co-pays, anti-rejection medications, travel expenses for frequent trips to UCLA along with other costs. This presents a challenge Francisco and his family won’t be able to cover alone. To help with the financial burden of Francisco’s uninsured expenses, a fundraising campaign in his honor has been established with Help Hope Live, a trusted nonprofit organization that has been providing community-based fundraising guidance to patients and their families for more than 30 years. All donations are tax deductible to the full extent allowed by law, are held by Help Hope Live in the Southwest Kidney Transplant Fund, and are administered by Help Hope Live for transplant-related expenses only. Please consider a contribution. Your support, generosity and prayers are critical to the overall success of Francisco’s struggle. Please know that your contribution really counts. If we work together we can help make his future much brighter filled with his greatest joy- time spent with his 9 grandchildren. Let’s help make this possible again for him. Anything and everything to help him get there is appreciated. Francisco has been on Dialysis for over 10 years and has been anticipating this day. Once he has raised the amount required for transplant he will be given a date to proceed. Please help at getting him there. Anything is appreciated!! !